Muralist John Park works on Collected Insight at Academy 17. 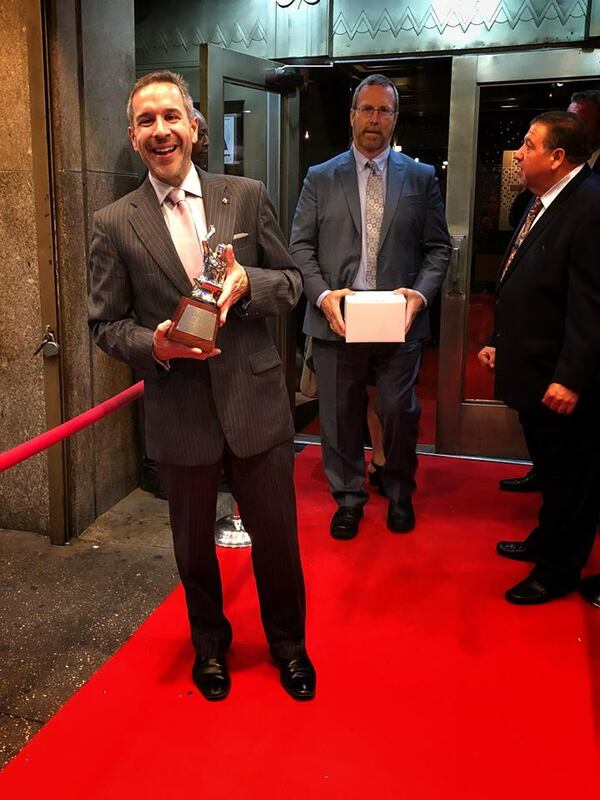 NEW YORK, June 8, 2018—The Public Relations Society of America recognized the launch of the Centre for Ocular Research & Education (CORE) brand with its highest honor—the 2018 Silver Anvil—last evening during a gala at Manhattan’s Edison Ballroom. Developed by McDougall Communications, the campaign introduced CORE to ophthalmic researchers, executives, eye care practitioners and students worldwide. 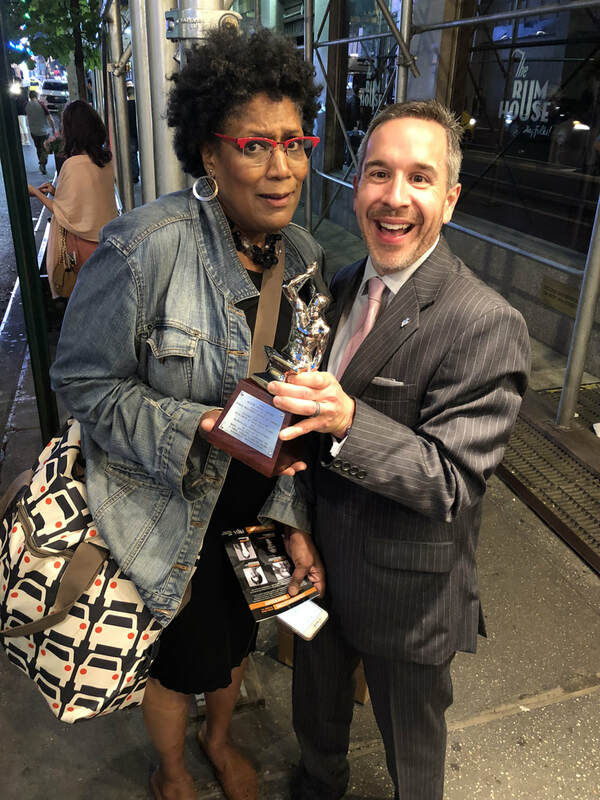 Of 116 finalists, only 51 Silver Anvils were awarded at the ceremony, which was hosted by CBS Sunday Morning contributor Nancy Giles. Other top honorees included P&G, DuPont, HP, the Smithsonian's National Zoo, Frito Lay, Heineken, Johnson & Johnson, REI, and Universal Pictures. 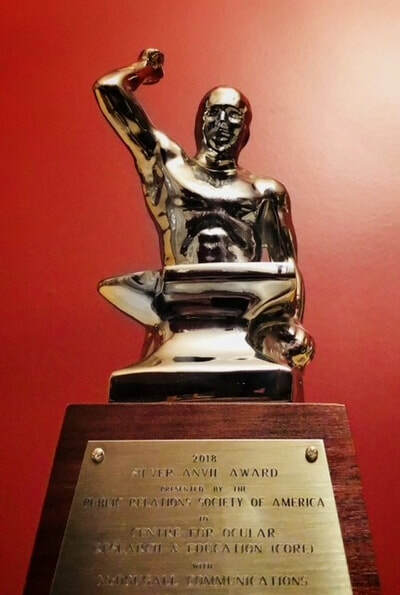 Members of the McDougall Communications team have now received 12 Silver Anvils and Awards of Excellence, often referred to as the Oscars® of the public relations industry. One high-visibility aspect of the CORE launch encouraged attendees at last October’s American Academy of Optometry Annual Meeting to co-create a large-format mural that celebrated vision. The resulting work, titled Collected Insight by Los Angeles-based artist John Park, is now installed at CORE’s headquarters within the School of Optometry & Vision Science at the University of Waterloo, in Waterloo, Ontario, Canada. “It’s an honor to share the Silver Anvil with everyone at CORE, who worked with us for months to conceive its new brand, then agreed to an unconventional launch that matched their extraordinary energy and collaborative values,” said Mike McDougall, APR, Fellow PRSA, president of McDougall Communications, who accepted the award. Since its launch at Academy ‘17, CORE has continued to reach out to ophthalmology and optometry communities in unexpected ways. This includes the introduction of CORE Knowledge (COREKnowledgeGame.org), the ultimate eye science game, which debuted in late April. Produced by McDougall Communications, it has already attracted players from every corner of the globe. The CORE brand reflects its evolution over the past three decades to become a preeminent center for advanced biosciences, clinical research and education relating to the eye. Originally named the Centre for Contact Lens Research, CORE’s uncompromising independence and results of the highest quality have been at the heart of many of the most prominent advances in eye health. Today, its approximately 50-person team serves a range of ophthalmic sectors, including medical devices, ocular pharmaceuticals, digital technology and others, with a focus on the anterior segment. McDougall Communications, founded in 2011, is focused on helping clients across the Americas, Europe and Asia-Pacific meet their business objectives through a range of communications services, including strategic planning, media and influencer relations, reputation and crisis counsel, and social media management. Its work in optometry and ophthalmology is widespread, having represented organizations such as CooperVision, Optometry Giving Sight, the International Association of Contact Lens Educators (IACLE), Labtician Opthalmics, the Contact Lens Institute, as well as other medical device and biotechnology entities. 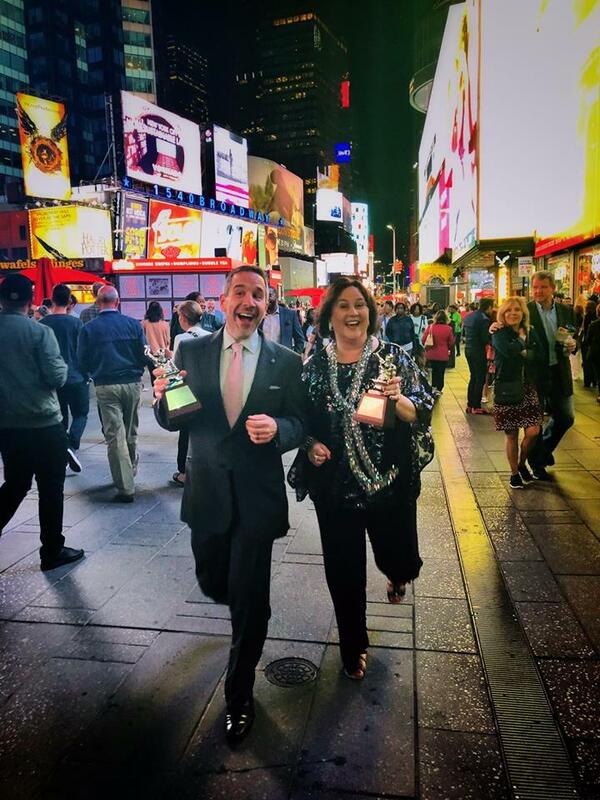 For more than 60 years, Silver Anvils have been awarded to the world's most comprehensive, creative and effective public relations programs. Candidates are evaluated by senior professionals drawn from corporate, non-profit, military and agency communications teams, as well as from academia.